Just one mouse in your home can turn into a family of 10 in less than one month. Mice and rats will gnaw through wires, chew through sheetrock, and destroy furnishings inside your home. Not only are they destructive, rodents spread diseases and contaminate 20% of the world’s food supply through their urine and feces. Any of our services are completed with your family’s safety in mind. We’ll inform you of any areas where traps and bait are set, and we’ll make sure these products are only accessible to the rodents we’re targeting, and NOT your pets! Mice and rats are more likely to find their way inside when temperatures are cooler – they like to stay warm too! 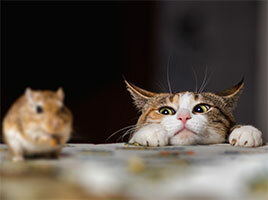 Keep your home protected from mice and rats all year round with our Home Protection Program. 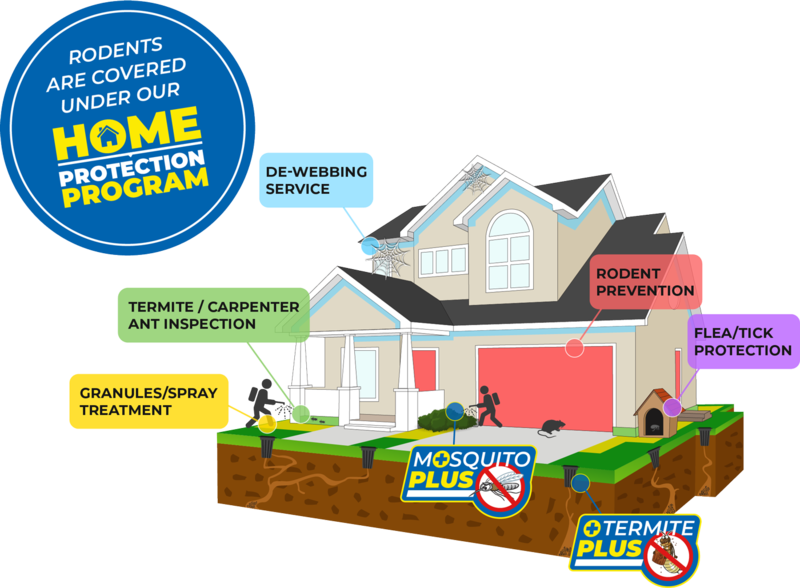 Bi-monthly preventative services ensure we control pests before they get inside your home. Under the program, we’ll return for additional services at any time completely free of charge.